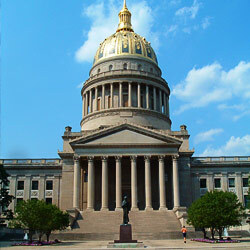 As the capital, and largest city in the state of West Virginia, it is home to over fifty two thousand happy residents. In the metropolitan area, Charleston measured over two hundred and twenty five thousand residents. With a wide variety of entertainment to choose from there is always something to do while you are in the area. If you have a day to spare while you are in Charleston, then be sure to take some time to visit the Capitol Building in the center of town. Designed by the renowned Cass Gilbert, this beautiful structure will quickly remind you of the White House as you walk up the front steps. With beautiful pillars and the highest state capitol dome in the entire United States the capitol building is well worth a tour. With knowledgeable guides you can explore these historical halls and learn all there is to know about the origins of the state of West Virginia. At any given time you can find large groups of school students on field trips here. This is a great and inexpensive way to spend a day with your family and friends. If you are in the city of Charleston then you absolutely have to visit the West Virginia Veterans Memorial. Here you can find the beautiful works of Joe Mullin displayed in a beautiful park. This four sided memorial features four beautiful sculptures of our soldiers in arms in World War One, World War Two, Vietnam and Korea. This oval shaped dedication was privately funded and honors more than ten thousand West Virginians who gave their lives for their country. This is well worth an hour of your time to visit while you are in the Charleston area. Discounted Hertz Rental Cars are a fantastic way for you to save on your next vacation, business trip, family reunion or other venture! With quality rental cars at an unbeatable price Hertz provides you with the vehicle you need at a fantastic rate. AVIS Coupon Codes and Discounts make renting a vehicle more affordable than ever. With a wide selection of vehicles to choose from you can find the car that suits your needs from a trusted rental car company today. The beautiful city of Charleston is home to hundreds of restaurants, so no matter what you are looking for you can rest assured there is a destination that will satisfy whatever craving you’re having. With so many options to choose from there is something for anyone visiting the area. If you are looking for a night out at a fancy restaurant then there is no better place for you to visit than Laury’s. 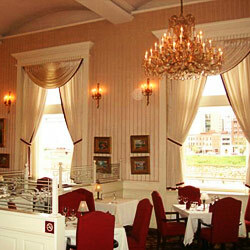 As the number one upscale restaurant in Charleston, Laury’s offers a wide variety of dishes for you to choose from. From traditional American meals to Steakhouse cuisine, French ensembles to Seafood, Laury’s has something for everyone in your party. With a beautiful and luxurious atmosphere Laury’s is great for a romantic night out or a business meeting. With a fine selection of wines to choose from and quality customer service you can explore fine dining in style any night of the week while you are in Charleston. If you are looking for a fun way to spend a night in the Charleston area then be sure to schedule a night to visit Pies and Pints while you are in the city. Well known for their pork and pepper nachos, this appetizer is a must if you are visiting. From gorgonzola to grape, rosemary to apple and more, the pies here are a delicious way to end the night. With a fantastic and constantly changing list of beers and wines to choose from you can enjoy a delicious pie and a pint of their finest brew with your friends. Pies and Pints also serves the finest pizza pies in town, so you can grab a quick bite to eat while you visit! Rental Car Coupons for Budget are the perfect way to make your next trip more affordable. Go wherever you want, whenever you want, all at an affordable price through the trusted Budget. With our great savings and their already low rates there really is no better way to save! Check out the deals that you can get from theses amazing discount rental car rates from Enterprise Rent a Car and RentalCarMomma.com. Check out the deals that you can get from theses great discount rental car rates from National Rental Cars and RentalCarMomma.com. Enterprise Rental Car Charleston Apt.